In 1969, when 30-odd musicians got together in a concert hall in Taipei, which at the time could still be called a relatively desolate music scene, they infused the city with countless notes of splendor. 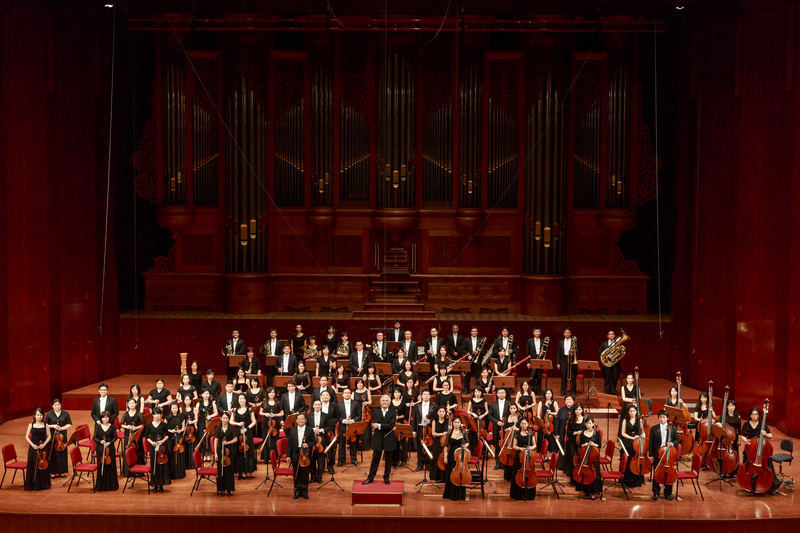 Now, more than 40 years later, that small group of musicians has grown up, becoming the 100-plus members of a large-scale orchestra – adding a brilliant chapter to the history of music performance in Taiwan, and becoming the only Western orchestra that truly belongs to the friendliest city in the world – the Taipei Symphony Orchestra (TSO). Starting from the very inception of the ensemble, the TSO has been known for its high musical standards, and has invited innumerable renowned musicians to perform and collaborate with them, including soprano Anna Netrebko, cellists Yo-Yo Ma and Mstislav Rostropovich, conductor Yuri Temirkanov, clarinetist Sabine Meyer, trombonist Christian Lindberg and composer Tan Dun. In 1979, when the first "Taipei Music Festival" was held, it set the precedent for large-scale music festivals in Taiwan, and aside from inviting renowned international orchestras, such as the Pittsburgh Symphony Orchestra, the Oslo Philharmonic, and the Saint Petersburg Philharmonic Orchestra. When it comes to producing operas, the TSO also established its long tradition of opera production, including such classic operas as Pagliacci, La Dame aux camellias, Faust, Carmen, Turandot, and La bohème. In 2011, Verdi's Aida was the first time a full opera was ever performed at the Taipei Arena. In recent years, the TSO performed La Clemeza di Tito in its entirety for the first time ever in Taiwan, also Taiwan debuts of Ariadne auf Naxos and Eugene Onegin. In 2016, Die Kluge was the pioneer production of children’s opera. Apart from performing in Taiwan, the TSO is no stranger to international concert halls, having performed in Austria, the US, Japan, Russia, France, Spain, Germany, Luxemburg, Singapore, China, and the Philippines. In recent years, the orchestra has participated in many international music festivals and important events, such as the concert series for the opening of the National Centre for the Performing Arts in Beijing in 2008, the Saarbrücken Arts Festival in Germany in 2009, the Expo 2010 Shanghai China, the closing ceremony of the Federation for Asian Cultural Promotion in 2011, La Folle Journée in Japan's Kanazawa, Toyama and Tokyo in 2012, Japan tour (Sapporo and Yokohama) in 2014, Les Flâneries Musicales de Reims in 2015 as well as China Shanghai International Arts Festival in 2016. To date the TSO has performed in 44 cities in 12 countries, not only allowing the world to hear superior musical performances from a Taiwanese orchestra, but also marketing the city of Taipei and realizing the lofty goals of cultural diplomacy. Since the founding director Chang-Kuo Teng established the TSO, directors over the years have included Tun-Chu Chen, Felix Chiu-Sen Chen, Chia-Chu Hsu, Wei-Ming Hwang and Shu-Si Chen. In March 2017, Deh Chian Liu became the current Acting General Director. The musical expression of the early days, in which the director was also the principal conductor, gradually gave way to a division of labor, with one director and one conductor. The TSO invited Hungarian conductor András Ligeti and German conductor Martin Fischer-Dieskau to serve as music director and interim music director, and ever since May of 2013, the internationally renowned Hungarian conductor Gilbert Varga has served has its principal conductor, leading the TSO to new milestones and creating more classical music miracles for Taiwan. © Copyright 2008 Taipei Symphony Orchestra. All rights reserved.